Not only is pumpkin carving fun - but it's also delicious. Clean the guts off of the seeds, sprinkle a little olive oil, add some sea salt, and then bake them for about 15 minutes in an oven preheated to 350°. 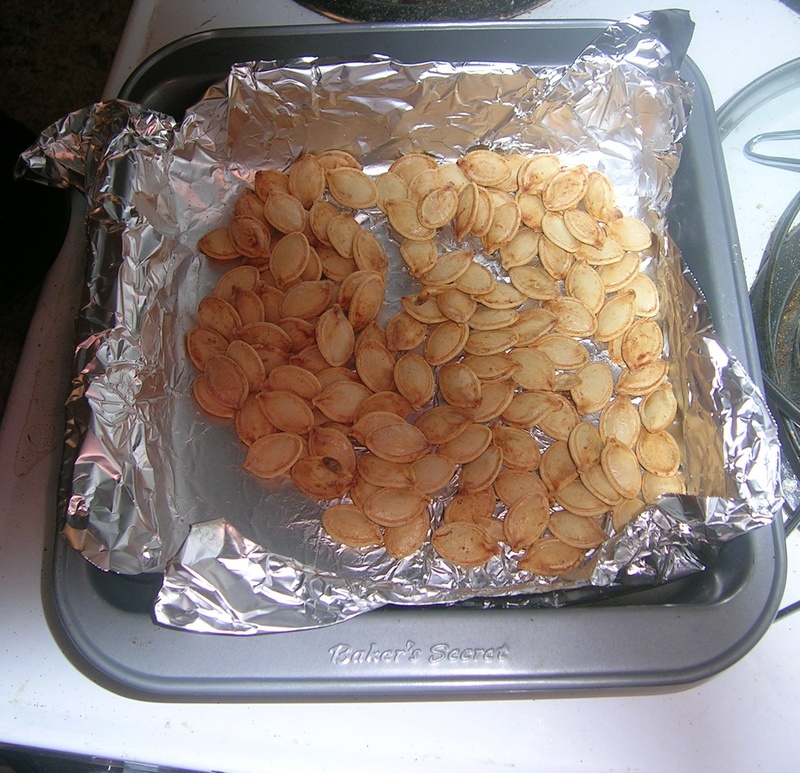 Pumpkin seeds make for a great snack while getting the real business done. This year we went for something a little more goofy than scary. Here are a few of Ed the Pumpkin in his natural habitat. Enjoy - have a fun and safe Halloween.